Evan Spencer Ebel in an undated Colorado booking photo. 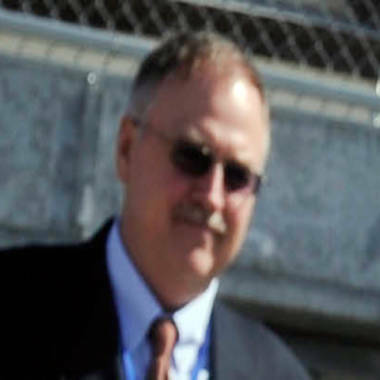 Tom Clements, executive director of the Colorado Department of Corrections, who was shot to death at his home. The man linked to the shooting death of Colorado's corrections director had a long history of run-ins with guards while serving nearly eight years in the state's prisons, including an incident in which he was accused of threatening to kill a guard after making her "beg for her life," prison records show. The man, Evan Spencer Ebel, 28, died in a shootout with deputies last week near Decatur, Texas. Colorado authorities said the same gun Ebel used in the shootout was also used to kill Tom Clements, executive director of the Colorado Department of Corrections, on March 19, less than two months after he was released from prison after serving time for robbery and menacing convictions. Ebel is also believed to have shot and killed a pizza delivery man and used his uniform to get to Clements' front door without raising suspicion. Colorado prison officials released Ebel's full prison record Thursday following an open records request by The Associated Press. 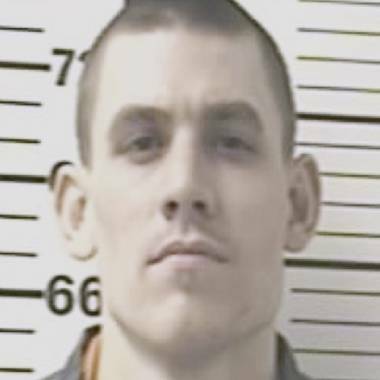 It shows Ebel — who sometimes used the aliases Ebel Evil and Dustin McKay — racked up 28 violations during the seven years and 11 months he spent in four Colorado prisons, including multiple citations for assault, fighting and verbal abuse. Ebel, whom the records list as having been affiliated with a white supremacist prison gang called the 211 Crew, threatened to kill staff members at least twice, the document says. The records don't identify the employees or give any indication that the threats were connected to his white supremacist beliefs. On Nov. 7, 2006, Ebel slipped out of his handcuffs, hit a staff member in the face and threatened to kill the staff member and his or her family, according to the file. Less than a year earlier, on Sept. 17, 2005, Ebel was in a confrontation with guards after he smeared feces on another inmate's cell door. He threatened one of the guards, telling her he would "kill her if he ever saw her on the streets and that he would make her beg for her life," the records show. The records indicate that smearing feces on cell doors was a favorite protest tactic of Ebel, who was punished for the infraction at least three times. On other occasions, he was disciplined for refusing to obey commands, verbally abusing prison staff, fighting with other inmates and vandalizing his cell. The records indicate that prison staff had to subdue him with pepper spray at least twice. Investigators have been unraveling what increasingly appears to have been an ambitious agenda of mayhem by Ebel. An evidence recovery log in the Clements investigation showed Tuesday that Texas authorities found bomb-making materials, a mask, duct tape and surveillance cameras in the car he was driving when he was killed last week. Earlier Thursday, the Colorado Bureau of Investigations said in a statement that police had arrested a 22-year-old Colorado woman on suspicion that she illegally provided Ebel with the gun used to kill Clements.